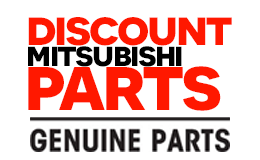 If you are looking for top quality OEM [make] parts at heavily discounted prices, Discount Mitsubishi Parts has got you covered. We make it easy to locate and purchase the [year] [make] [model] [trim] [engine] replacement parts required by your vehicle. Get your [make] back on the road and by ordering the OEM replacement parts you’re looking for. And if you need help finding a certain part, give us a call or click on the Contact us tab.